The Government has launched a review of its national adult autism strategy Think Autism. Think Autism is a cross-government strategy, launched in April 2014, which set out the steps that the Department of Health, local councils and other bodies would take to improve the quality of life for autistic adults and ensure that services met their needs. 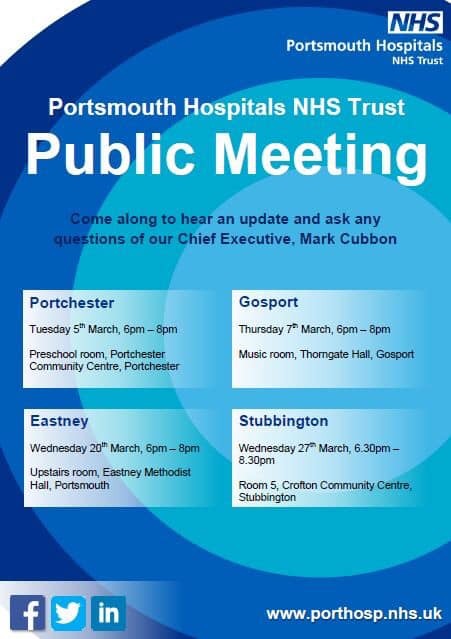 On Wednesday 20 March 2019, 6-8pm, Portsmouth Hospitals NHS Trust will be holding a public meeting at the Eastney Methodist Church on Highland Road, PO4 9NJ. This is your chance to hear about the latest plans for Queen Aexandra Hospital as well as question the Trust’s Chief Executive Mark Cubbon. The NHS has launched its 2019 parliamentary awards to celebrate and give national recognition to staff who go above and beyond the call of duty. It is inviting nominations for NHS team members who go the extra mile for patients. The awards were created to celebrate NHS staff, carers and volunteers – their hard work, innovative ideas and unwavering efforts to put patients first. MPs are now searching for and want to hear from outstanding individuals in their local area for 2019 who have innovated, impressed and made a real difference to how the health service provides care for patients. All those who are shortlisted for excellence will be invited to an award ceremony in Parliament to celebrate their fantastic achievements. What do you know about extended access Doctors services? Over the next few weeks researchers from Healthwatch Portsmouth will be visiting all the Doctors’ surgeries across the city to ask patients what they know about the extended access service which has been available across Portsmouth since last summer. On Wednesday 13 March 2019 the Good Mental Health Co-Operative will be hosting a drop in cafe 2-6pm on the third floor of Portsmouth Central Library, Guildhall Walk, Portsmouth PO1 2DX. 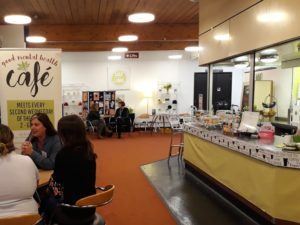 The Drop-In Cafe welcomes everyone! You may be feeling anxious, stressed or socially isolated, or you may be worried about a friend or a family member, or you may just be interested to know more about good mental health and wellbeing and the availability of local resources. 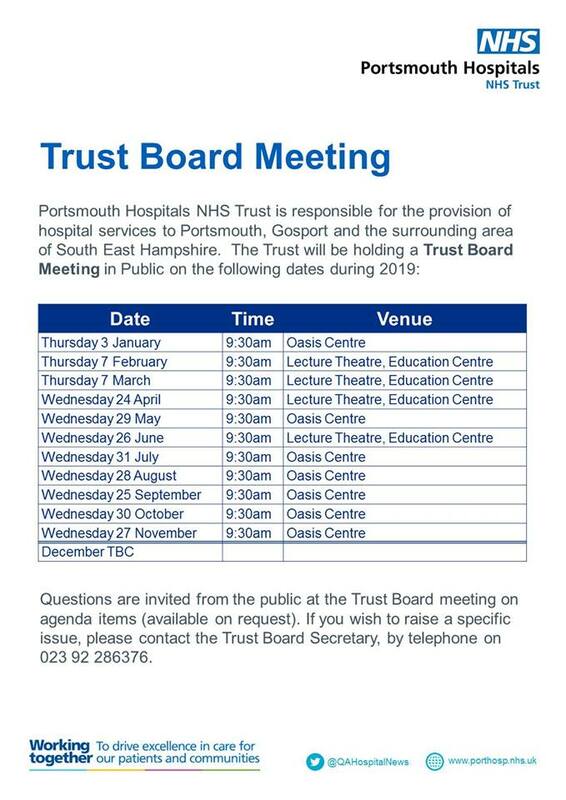 On Thursday 7 March 2019 Portsmouth Hospitals NHS Trust, which is responsible for running Queen Alexandra Hospital in Cosham, will be holding its monthly Board meeting in the education centre on the QA site. The meeting is open to the public . Why do 1 in 4 women not attend cancer screening appointments? How confident are you in managing your care?